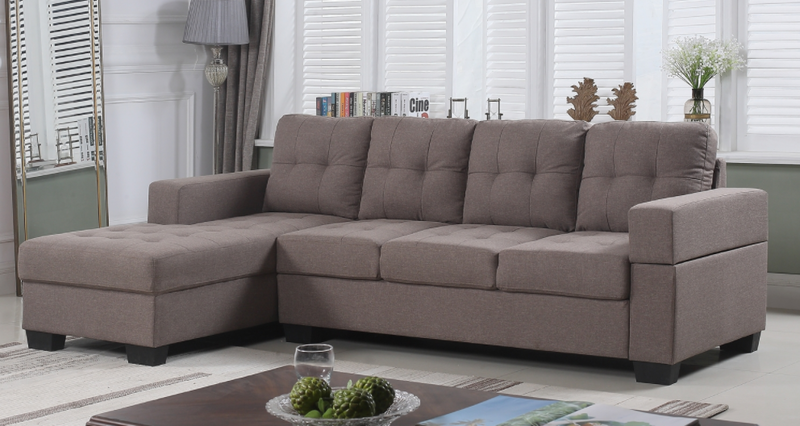 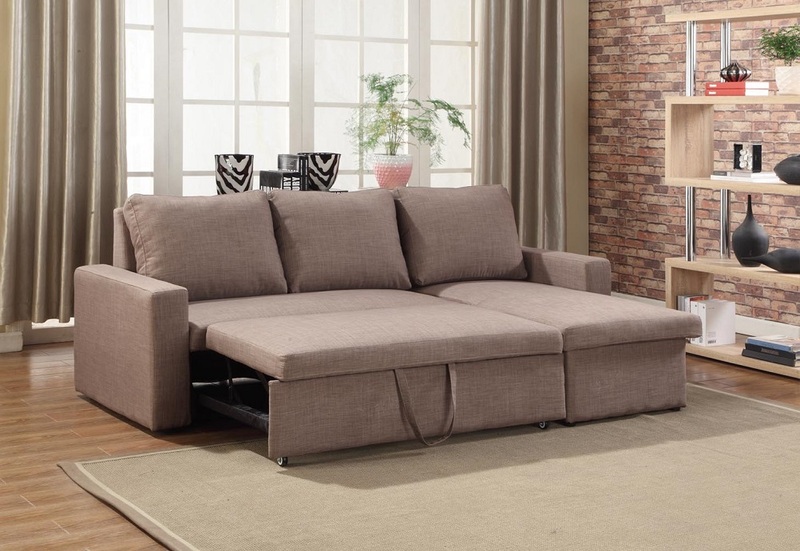 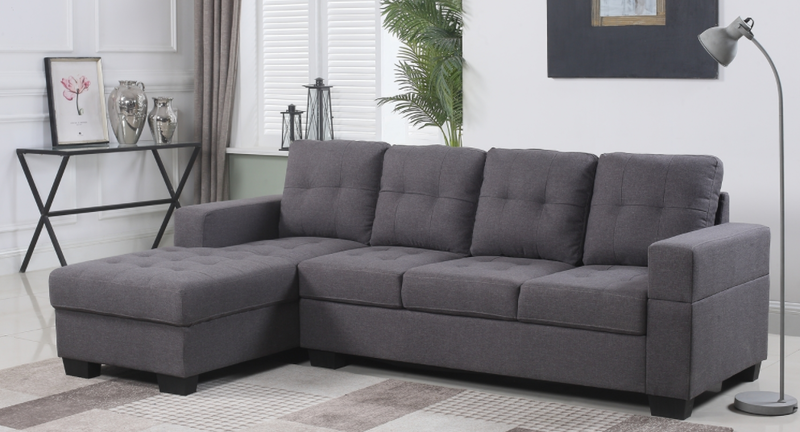 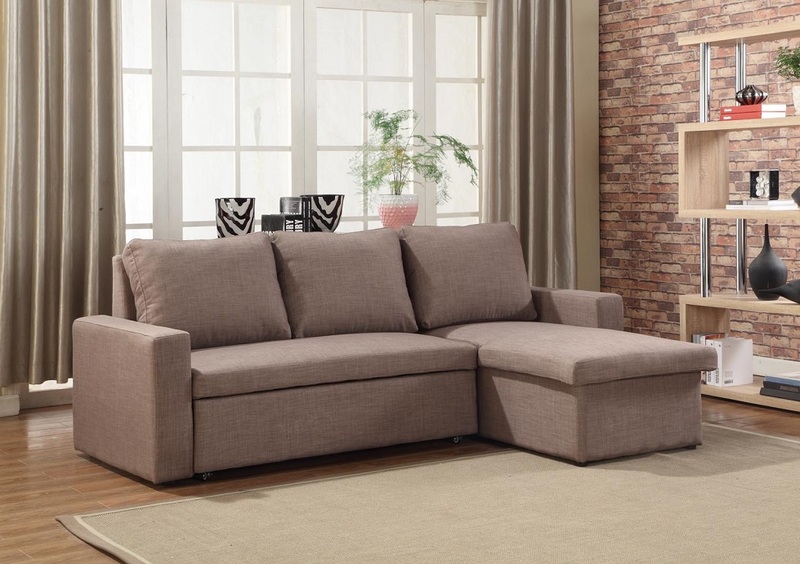 The sofa-chaise combination features high density cushions with a memory foam topper for the utmost quality and resilience. 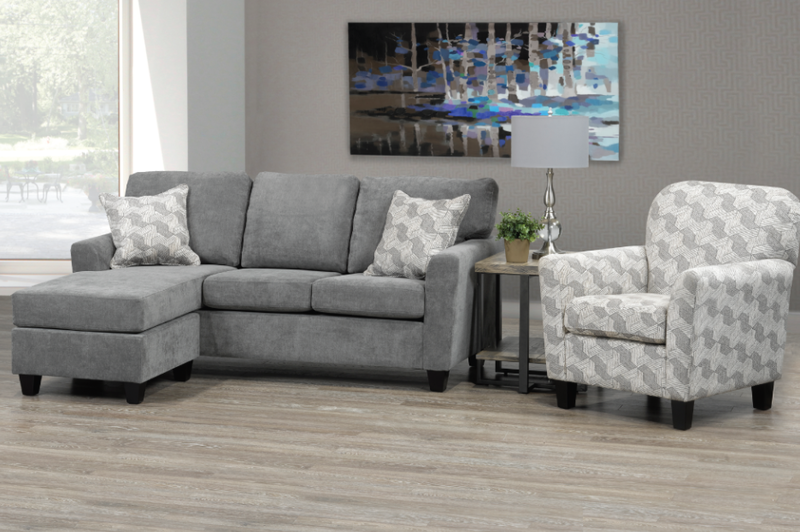 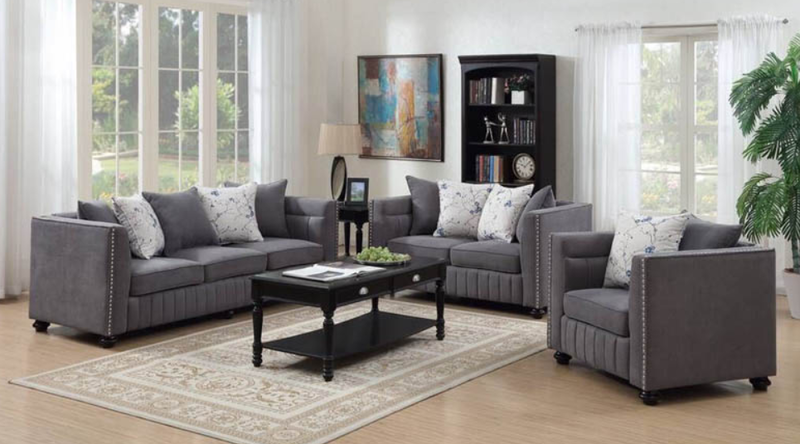 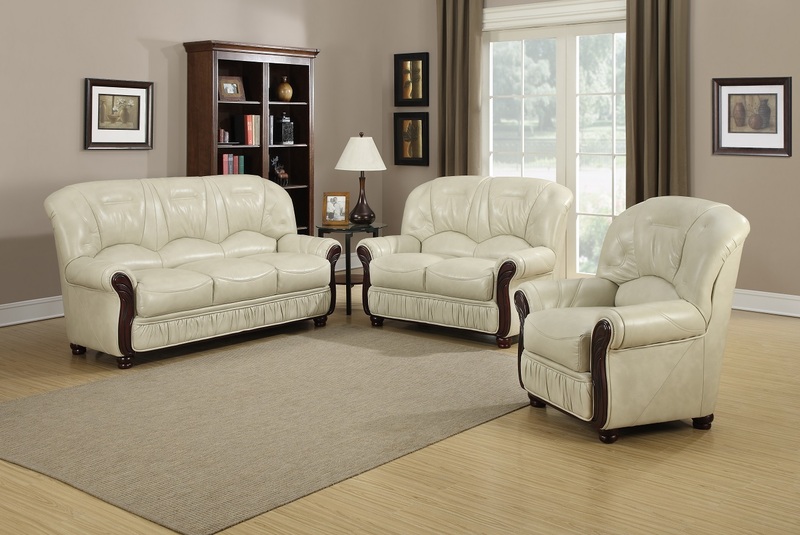 Slightly angled loose back cushions optimize comfort, perfect for hours of lounging and socializing. 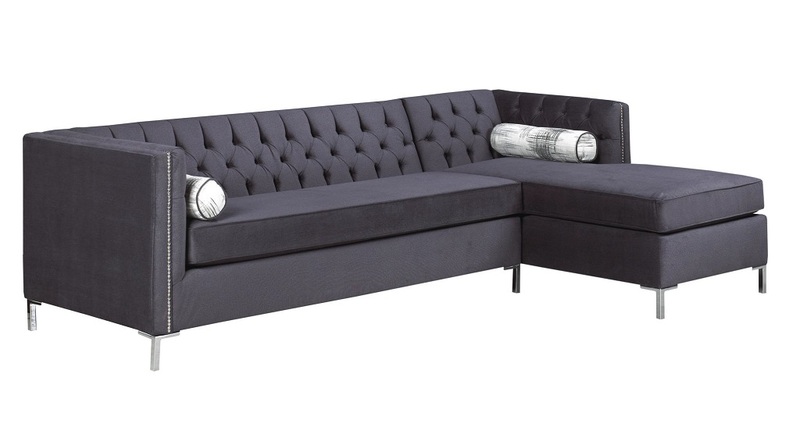 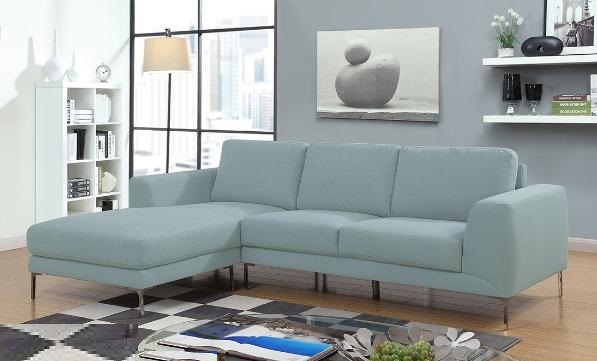 Upholstered in neutral grey/azure blue/light seafoam blue with clean lines and slender legs in a bright chrome finish.